Heavy flooding in the Georgian capital, Tbilisi, has killed at least 12 people, with officials warning people to stay indoors to avoid animals that have escaped from a zoo. The missing animals include tigers, lions, bears and wolves. Three of the dead people were found within the zoo. 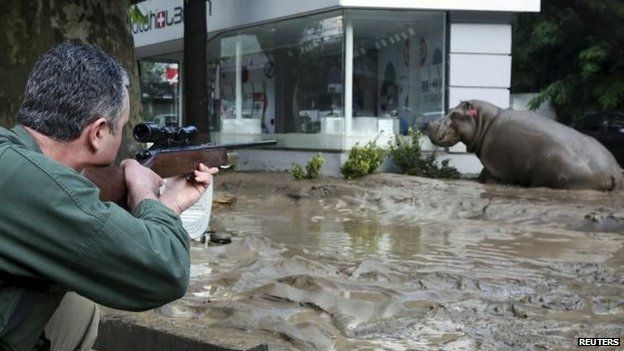 A hippopotamus was cornered in one of the city’s main squares and subdued with a tranquiliser gun. Rescue workers are searching submerged homes to check for trapped residents. Dozens of people have been left homeless. Tbilisi Zoo spokeswoman Mzia Sharashidze told InterPressNews agency that three bodies had been found in the zoo, including those of two employees. She said the grounds had been turned into “a hellish whirlpool”. Ms Sharashidze said wolves, lions, tigers, jackals and jaguars had been shot dead by special forces or were missing. 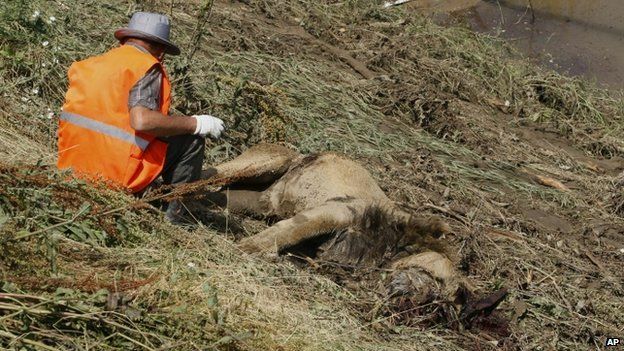 The bodies of a lion and a pony lay near the zoo. The flooding began when heavy rains caused the River Vere – normally little more than a stream – to burst its banks. Thousands of people have been left without water and electricity while others have had to be airlifted to safety. Mayor Davit Narmania said the situation was “very grave”. Several main roads have been destroyed while small houses and cars were swept away. 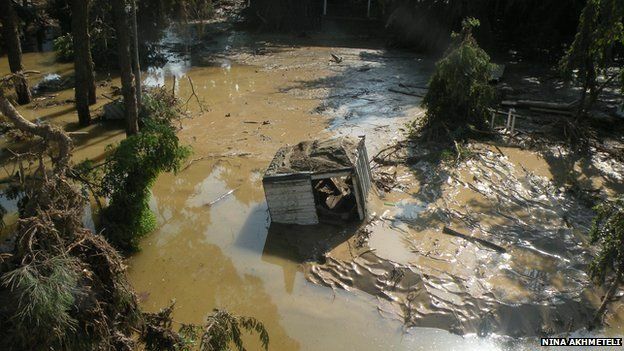 Coffins in a city cemetery have reportedly been washed out of the ground and left lying on the mud. 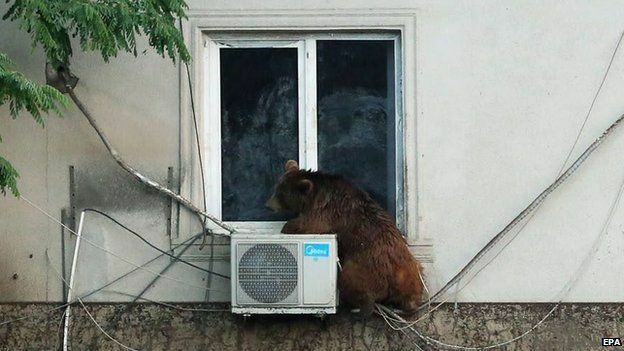 Prime Minister Irakli Garibashvili has called on residents to stay indoors until the animals have been found. President Giorgi Margvelashvili has visited affected area and extended his condolences to relatives of the victims. It remains unclear how many are animals missing. Helicopters are circling the city as part of a search and rescue operation. 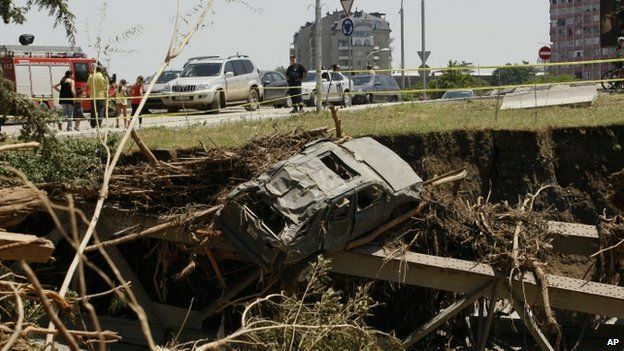 Vice-mayor Irakly Lekvinadze estimated the preliminary damage at $10m (£6.43m). In May 2012, five people were killed in Tbilisi after another river flooded. 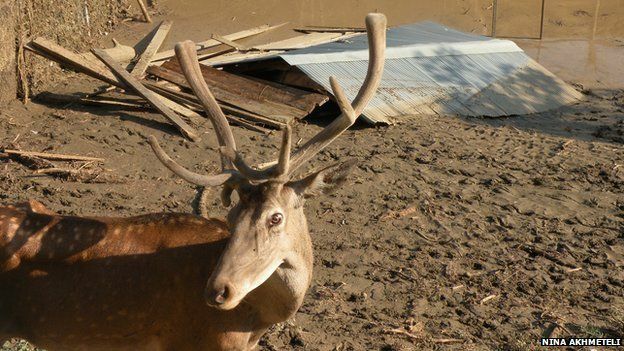 This entry was posted in Politics and tagged animals, disaster, Europe, FLOODS by fshiels. Bookmark the permalink.